The HELL in saying hello and the GOOD in goodbye. The feeling every social anxiety sufferer despairs of. Described as the fear one has in situations that involve interaction with other people, social anxiety is an omnipresent feeling that takes no prisoners. Yet, while it may take a few hundred nervous laughs and feigning interest to get me through a day, I’ve learnt it can be more ABILITATing than Debilitating. According to recent mental health statistics, mixed anxiety and depression is the most common mental disorder in Britain with around ten per cent of people admitting to it. Before you go burying your head in a family packet of crisps, anxiety doesn’t automatically make you a failure. Famous faces that have suffered from it include sassy and opinionated writer/actress Lena Dunham, screen siren Elizabeth Taylor and even the late queen of put-downs, Joan Rivers. Would you consider these women as fearful or fearless? Along with 300,000 young people in Britain, my social anxiety began in childhood and followed into my adolescence years. It involved me relying on facial expressions to correspond my feelings. Chewbacca could communicate better than I could. When I did eventually use my voice, it was redacted to short and simple sentences. 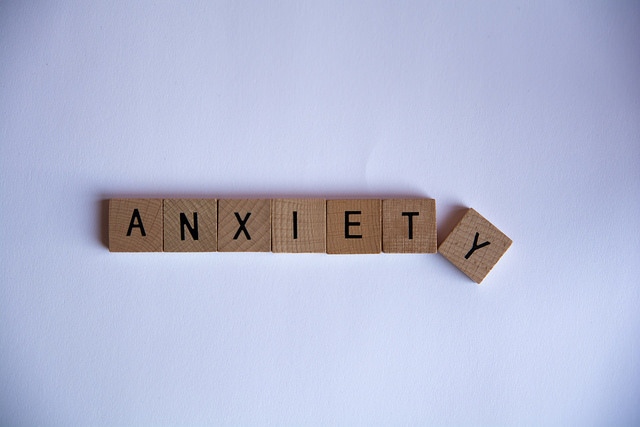 Anxiety affects around three per cent of children and young adults in the UK. However, aged 20, while at a compulsory social gathering, my mind surprisingly, converted its way of thinking. As I sat quietly in the corner snacking on what was meant to be a sophisticated stack of cheddar cheese and reformed ham, a girl ambushed me with her problems. Her ugly breakup coupled with a dire financial state made her a quivering wreck, which only my silence seemed to help. In that moment, I realised my awkwardness and muteness provided no judgment but instead a benevolent ear that was willing to make someone else feel better. My social anxiety has made me aware of an ability I never knew I had. I may lack in talk, but I excel in listening. Me choosing to not attend every social gathering going doesn’t mean I’m a stranger to the conception of fun. It just means I have a cleaner home and am a bit of a connoisseur when it comes to ready meals and Downton Abbey. Culture clash, I’m sure. Women are twice as more likely to develop anxiety of some kind. If work has you stressing more than a dieter at an all-you-can-eat buffet then you’re not alone. Catwalk queen, Kate Moss has revealed she too has experienced panic attacks over how she thinks she should act professionally. Celebs like her prove it doesn’t matter whether you’re rich and beautiful, anxiety can strike at even the fabulous. I used to think, if anxiety were a town, it would be called ‘Stressville’, population, me. If anxiety were a mode of transport, it would constantly stop me from getting to my destination. If anxiety were a house of relics, it will keep me infatuated with a history of mistakes and regrets. But now? If anxiety were a town, it would have a population of over two million. If it were a mode of transport, I would ride it out and get off it at the end. If it were a house of relics, I would hope to visit only occasionally. With more things to stress about in the world than ever before, it’s no wonder people are believed to be more anxious now than they were five years ago. Whether it’s down to genetics or unpredictable hormones, anxiety is likely to affect us all. However, by recognising the positive in your fear, you’re more likely to feel a little better, preferably without the aid of a litre tub of ice cream. With one in four of us likely to experience a mental health problem each year, it’s hard to find an immediate solution. However by finding an abilitating aspect within your powerlessness, like placing the emphasis on others rather than yourself, you may just find a solution while also providing one for someone else. Next time you find yourself getting anxious, whether internally or socially, know that positivity will get you through, your integrity will keep you sane and your voice is just as mighty as everyone else’s.